This Recipe for Sugar Cookies makes sweet, rich, and delicious sugar cookies, just like grandma used to make! It's nothing fancy, just a plain sugar cookie. Easy to make, these simple Drop Sugar Cookies bake up soft and chewy. How can something as simple as a basic Easy Sugar Cookie be so satisfying? 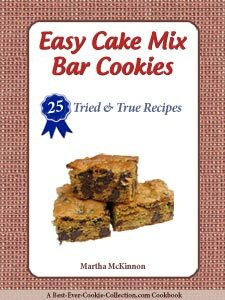 I'm not sure, but as our family's resident cookie baker, I'm always happy when I find a recipe that is both easy to make and delicious. 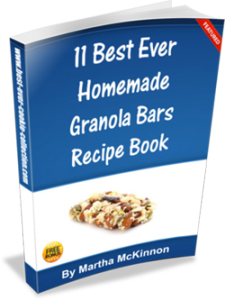 It quickly becomes a personal and family favorite! I used to believe that it was necessary to bake complicated, fancy cookies and cakes, but not any more. With each passing year, I realize that simpler is better and this easy sugar cookie is the perfect example. I pulled out this Sugar Cookie Recipe yesterday when I needed a quick and easy dessert to take to a friend's house for lunch. I was able to mix them and bake them in less time than it would have taken me to run to the store for something mass produced and not nearly as good. I added a little lemon zest to the cookie dough to perk them up a bit, which turned out to be perfect since we had fresh squeezed lemonade with lunch! 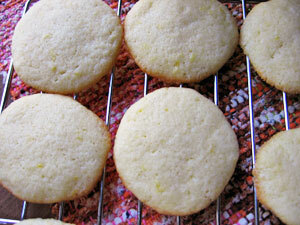 I love this Easy Sugar Cookie Recipe for its versatility too. The cookies are delicious plain and are a great accompaniment to ice cream or a bowl of fruit. But they can also be modified lots of different ways! Feel free to stir 1/2 cup of nuts, raisins, or coconut into your Sugar Cookie Dough. Or add a little lemon, orange, or lime zest. 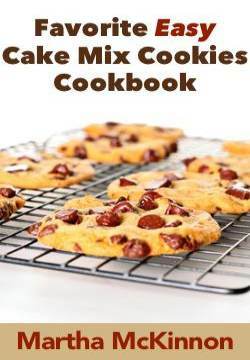 Or make Sugar Chocolate Chip Cookies by adding 1/2 cup of miniature chocolate chips! You get the idea. This Sugar Cookie Dough loves to be played with! This recipe is supposed to make about 40 sugar cookies that bake for 8 to 10 minutes. When I make them I usually end up with about 30 cookies that take about 10 to 12 minutes to bake. As I continue to study old cookbooks, I realize that cookies used to be much smaller, which partly explains why we keep getting larger! Place one of your oven racks in the center position and preheat your oven to 350F degrees. Line your cookie sheets with parchment paper. Alternatively, use ungreased cookie sheets for baking these easy sugar cookies. In a small bowl whisk together the flour, baking powder, and salt until well blended and set aside. Add the egg, vanilla, cream or milk and beat thoroughly. Scrape down the sides of the bowl with a rubber spatula if necessary, to make sure all ingredients are well blended. Add the flour mixture and with the mixer on low speed, stir until the mixture is just blended. Arrange by teaspoonfuls on the prepared cookie sheets, about 2 inches apart. Bake, one cookie sheet at a time on the center oven rack, for 8 to 10 minutes until lightly browned. When done, remove from the oven and transfer the cookies with a spatula to wire racks to cool completely.